We’ve run a lot of “What’s your [insert parameter] BMW dream garage?” articles because it’s always fun to dream up what our garages would house if money were no option. But what if you don’t have to imagine? What if you can just look at a BMW dream garage? That’s exactly what you can do here, as a classic BMW collection is currently up for sale for a whopping $2.3-million. This collection is currently being sold by Enthusiast Auto Group in Cincinnati, Ohio and they’re some of the best BMW restorers and mechanics in the country. They always have an awesome selection of classic and comprehensively restored BMWs but this carefully curated collection is truly awesome. Kicking off the collection is the epic BMW M1, the brand’s only true supercar, and an E28 BMW M5 providing the buyer with both of BMW M’s O.Gs. 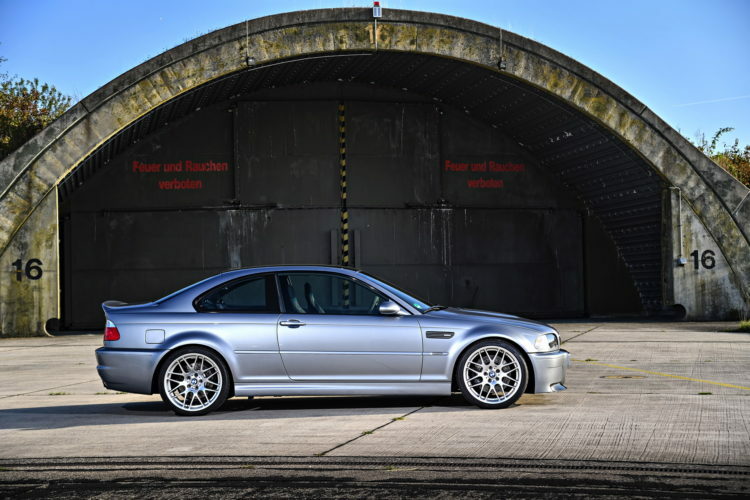 Following that is the E30 BMW M3 Sport Evolution, a 1995 E36 BMW M3 Lightweight, E46 BMW M3 Competition Package and an E92 BMW M3 Lime Rock Park Edition, rounding out the special edition cars. But wait, there’s more. A lot more. The collection also comes with a BMW Z1, Z3 M Coupe, Z4 M Coupe and a BMW Z8, giving it some roadster options. Finally rounding out the entire collection are the legendary E39 BMW M5, the E24 BMW M6 and the fan-favorite BMW 1M Coupe. All of that totals thirteen truly awesome, genuinely special cars that are all fully restored to like-new condition and all look fantastic. If you’re rich enough to purchase such a collection and are a fan of BMW, this is an awesome buy. I’m not sure all of these cars are actually worth $2.3-million combined, but it’s certainly a very cool collection, filled with some rare and special cars, that would likely be worth buying to a lot of wealthy collectors.